Forexworld Australia Exchange Rate December 17, 2018 (Monday) is PHP 37.70 valid up to 6pm Australian EST. Forexworld Australia Exchange Rate December 14, 2018 (Friday) is PHP 37.75 valid up to 6pm Australian EST. 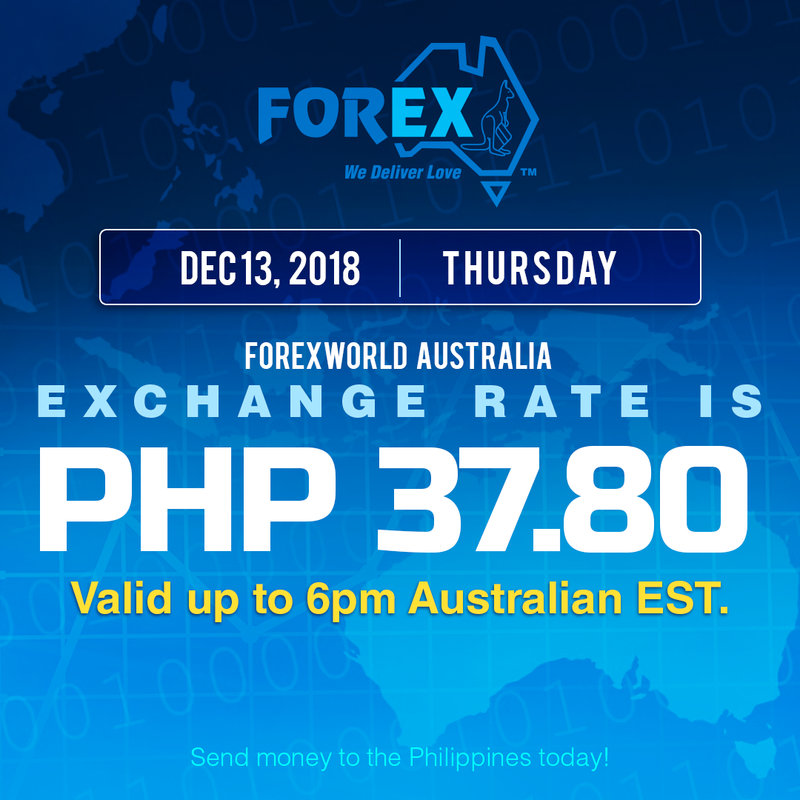 Forexworld Australia Exchange Rate December 13, 2018 (Thursday) is PHP 37.80 valid up to 6pm Australian EST. 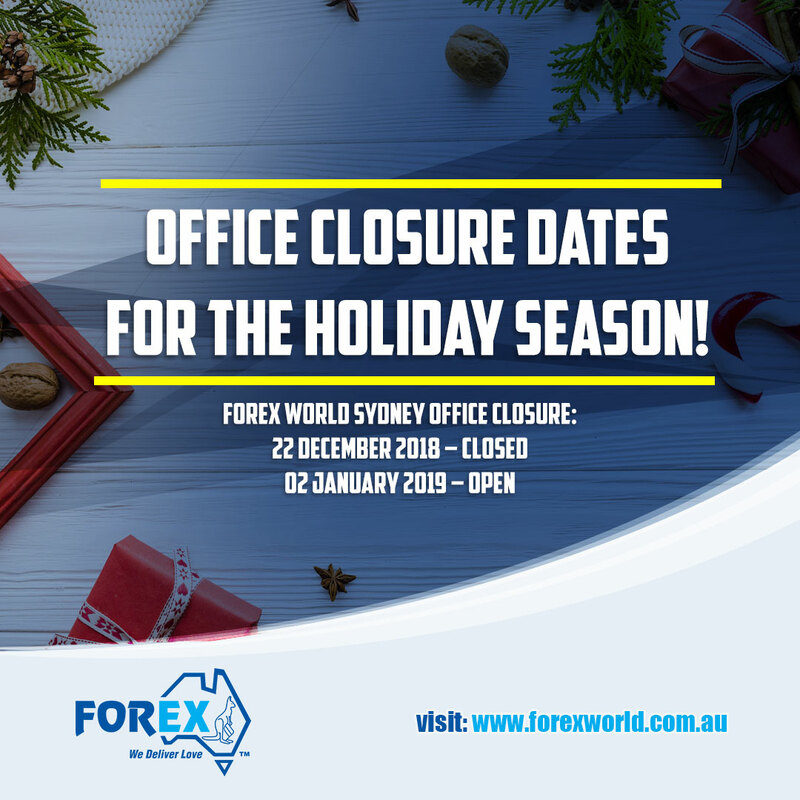 Holiday Season Office Closure Advisory! 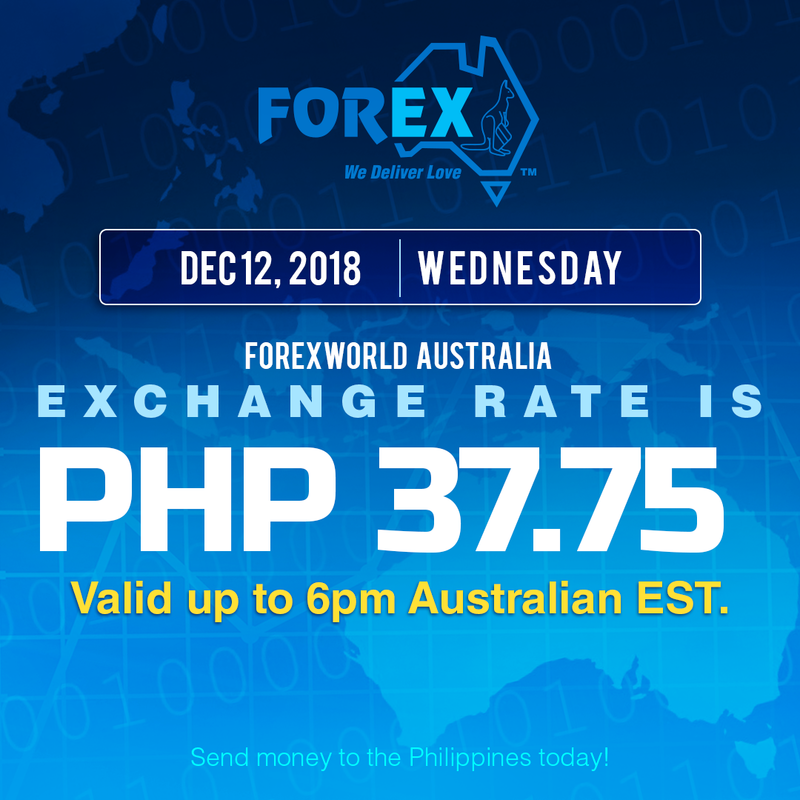 Forexworld Australia Exchange Rate December 12, 2018 (Wednesday) is PHP 37.75 valid up to 6pm Australian EST. Forexworld Australia Exchange Rate December 11, 2018 (Tuesday) is PHP 37.65 valid up to 6pm Australian EST. Forexworld Australia Exchange Rate December 10, 2018 (Monday) is PHP 37.55 valid up to 6pm Australian EST. Forexworld Australia Exchange Rate December 7, 2018 (Friday) is PHP 37.95 valid up to 6pm Australian EST. 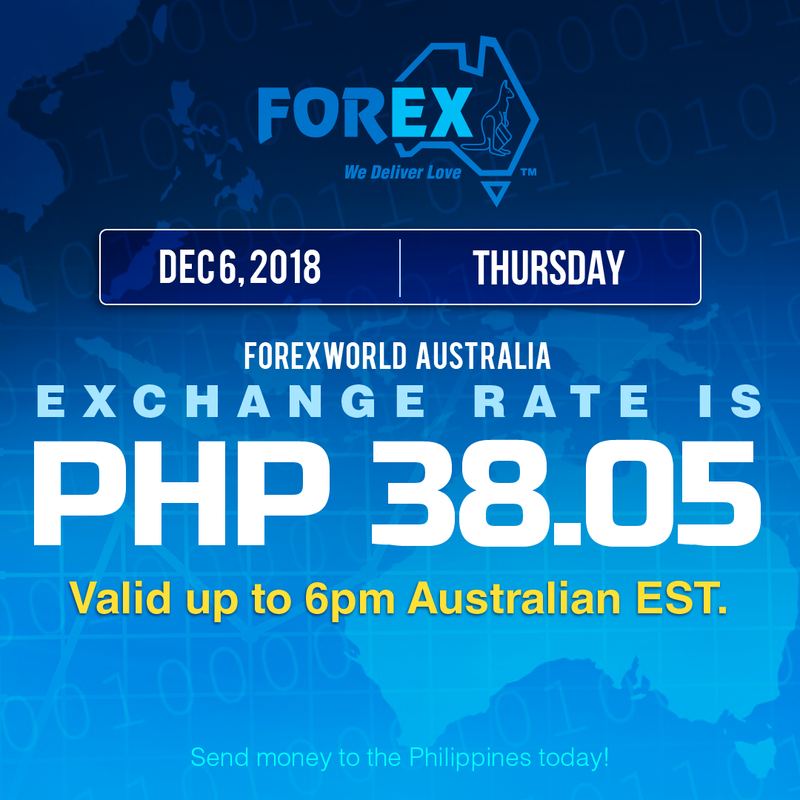 Forexworld Australia Exchange Rate December 6, 2018 (Thursday) is PHP 38.05 valid up to 6pm Australian EST. 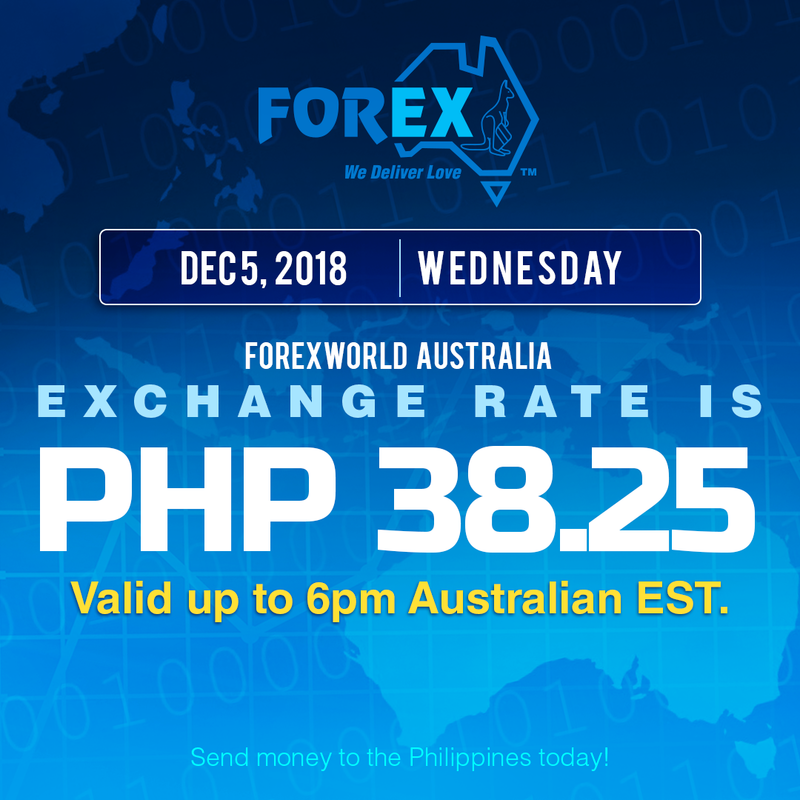 Forexworld Australia Exchange Rate December 5, 2018 (Wednesday) is PHP 38.25 valid up to 6pm Australian EST.